Our school philosophy sets out the collective vision of education shared by all members of the school community. Hyundai Foreign School provides a broad and balanced education that enables each child to develop socially, emotionally, intellectually, creatively and physically. Our school encourages a practical understanding of different cultures and respect for others. We nurture self-esteem, self-motivation, self-discipline, a lifelong love of learning and the ability to work as part of a team. The school embraces its important role as part of the local expatriate community by fostering an extended family environment. 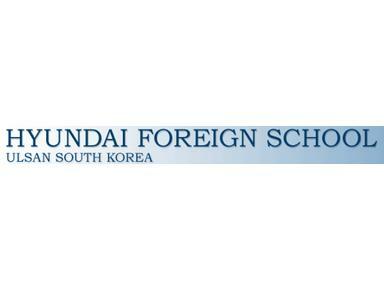 Hyundai Foreign School aims to ensure that each studentbenefits from their time in Korea.